Comprehensive and collision insurance are two common, but often misunderstood car insurance terms. Ontario drivers frequently confuse the terms and the coverage they provide, however, they are very important forms of coverage that you should consider as part of your auto insurance policy. They work collaboratively to help ensure your vehicle is covered for a wide variety of damage. Comprehensive auto insurance is an important form of protection. 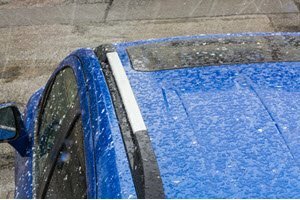 Many people incorrectly assume it means having coverage against any and all damage to your vehicle. Comprehensive coverage provides protection against damage that is not related to car accidents, when your vehicle is stationary. What is and is not included in a comprehensive insurance policy can be different depending on your insurance company in Ontario. It’s important to understand which perils (threats to your vehicle) are covered in your policy. What Does Comprehensive Insurance Cover? This coverage pays for losses, other than those covered by Collision or Upset, including perils or dangers listed under Specified Perils, falling or flying objects, missiles and vandalism, says FSCO. How Does Comprehensive Car Insurance Work In Ontario? Comprehensive auto insurance is an optional or extra form of coverage you can add on to your standard insurance policy. Much like all perils coverage, specific perils coverage, and optional policy endorsements (OPCFs), they provide you additional coverage and protect your vehicle against threats in a variety of situations. Does Comprehensive Insurance Cover Driving Other Cars? This depends on your insurance policy. Not all auto insurance policies are the same, so it’s important to check with your insurance provider to get clarification. In the past, it was common for drivers to have coverage for driving other cars (DOC) to be included in their comprehensive insurance policy. However, many insurance companies now offer DOC coverage under a fully comprehensive policy. What Is Fully Comprehensive Coverage? Fully comprehensive coverage, something referred to as full comprehensive, or fully comp, provides additional insurance and coverage for most situations (again – check with your insurance company for a complete list of coverage). It also includes coverage to drive another person’s vehicle with protection against fire, theft, vandalism, accidental damage, and other perils. 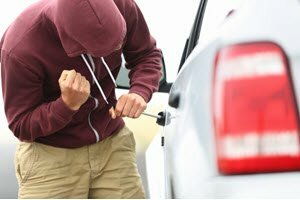 Does Comprehensive Auto Insurance Cover Theft? Yes, comprehensive coverage provides you with protection against vehicle theft. If your vehicle is stolen, this coverage will cover the cost to repair and recover your vehicle. You will just be responsible for paying the comprehensive coverage deductible. What is does NOT cover is theft by a member of your household. A comprehensive insurance claims is similar to a standard car insurance claim. The only difference is what you are claiming and your deductible amount. Most policies include a $300 deductible for comprehensive coverage. 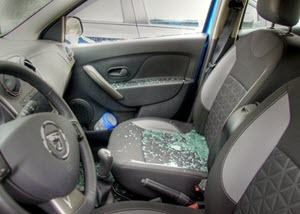 Comprehensive claims are for damage caused to your vehicle that do not involve an auto accident (theft, vandalism, etc. ), and you file these claims in the same manner as a normal car insurance claim. Call your insurer, notify them of the damage and they will assist you with the steps you need to take. How Much Does Comprehensive Car Insurance Cost In Ontario? How much is comprehensive insurance? This is the question all drivers want the answer to before adding comprehensive coverage to their policy. Like many other insurance policies and coverage options, the cost of comprehensive auto insurance varies. In general, expect it to add a few hundred dollars your yearly car insurance premium. Again, this will vary based on where you live, your insurer, and other factors. Is Comprehensive Car Insurance Worth It? Should you drop or remove the coverage? Should you add it to your policy? These are important questions to consider when determining your car insurance needs. It really comes down to comparing the cost of adding comprehensive coverage to the risks of not having the coverage. Peace Of Mind : Is the extra amount added to your premium worth the peace of mind? Financial Situation : Are you willing and able to pay out of pocket for repairs if you choose not to get comprehensive coverage? How Much Is The Coverage : How does the cost of comprehensive coverage compare to other named perils, and additional coverage options? Vehicle Value : What is the value of your vehicle? Many owners of older vehicles don't get comprehensive coverage because of the lower value of their vehicle. Risk : Based on your situation, do you think there is risk or chance that you will need to make a comprehensive claim? Car Loan : Do you have a car loan? If so, your lender will likely want you to have comprehensive coverage. Think about these questions to determine your need for a comprehensive insurance policy. Should You Have Comprehensive Coverage? When comparing car insurance options, it’s important to determine whether or not comprehensive insurance meets your insurance needs. however, you are also reducing your amount of coverage, and depending on the cause of the damage, you may be on the hook for the repairs. Whether you should or shouldn’t have the coverage is really up to you – even though you may be required to have the coverage if you have a loan on the vehicle. Compare your options and get a car insurance quote for comprehensive coverage. Call us at 1-855-550-5515, and we'll be happy to answer any of your questions. Collision insurance coverage, also referred to as upset coverage, provides you with protection when your vehicle is involved in a traffic accident. It applies to accidents with other vehicles and with stationary objects (single vehicle accidents). Collision insurance coverage is applicable to most car accidents, and it provides coverage for vehicle repairs, or replacement of your vehicle if it is a write off. Your liability insurance covers the cost of damage to other vehicles and property damaged in the accident. While it sounds like a standard form of insurance coverage that is included in your policy, collision coverage is NOT mandatory, but it is recommended, especially if you have a newer vehicle. What Does Collision Insurance In Ontario Cover? This coverage pays for losses caused when an insured vehicle is involved in a collision with another object, including another vehicle, or rolls over. ”Object" includes: another vehicle or a trailer that is attached to the vehicle that is covered by your insurance policy; the surface of the ground, and any object in or on the ground, says FSCO. A collision with another vehicle. Another vehicle colliding with your vehicle. A hit and run collision if the incident is reported to the police. Colliding into a road sign, a street light, the ground, an embankment, or other stationary object. What Is NOT Covered by Collision Insurance? 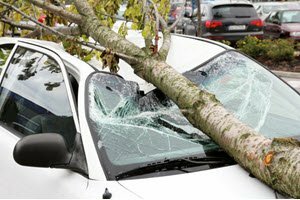 Collision coverage does not provide coverage if an object hits your vehicle, such as a tree falling on your vehicle during a storm. This is covered by comprehensive coverage. Upset coverage only applies when your vehicle hits another car or object. 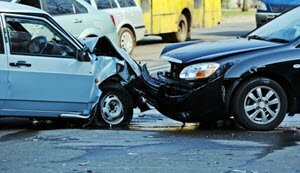 What Is a Collision Deductible? A collision deductible is a mandatory part of collision coverage. As with standard auto insurance, you can choose the deductible amount. The higher the collision insurance deductible you choose, the lower the cost for your premium. Some insurance companies may require a minimum deductible amount. Most insurers offer a $500 deductible for collision coverage. Learn more about collision and comprehensive deductibles. How Does Collision Insurance Work? Ontario Drivers - When Should You Drop Collision on Your Car? When to drop collision coverage is a common consideration for Ontario drivers. There are certain situations where collision coverage many not make financial sense. Often times, many drivers have too much auto insurance coverage, a reason to regularly assess your insurance and get a quote. Collison Coverage for Older Cars – Is It Necessary? The need for collision coverage when you have an older car is a much debated topic. Many drivers opt to skip collision coverage on older cars because the vehicle has little value or would not be worth repairing if it was in an accident. Vehicle Value : What is the current value of your vehicle? Owners of older vehicles often don't get collision insurance because of the low value of their vehicle. Coverage Amount : How much do you currently pay for collision insurance coverage annually? Deductible Amount : How much is your collision coverage deductible? Deductible Amount Compared To Vehicle Value : What is the difference between the deductible and value? Does it make sense to file a claim for your insurer to cover the cost of repairs? Financial Situation : Can you handle taking on the costs if you didn’t have collision coverage? Asking these questions and crunching the numbers is the only way to know for sure if it’s worth getting or dropping collision coverage on an older car. What happens when you get in an accident? Does your collision coverage take care of the damages? If you are involved in an at-fault accident and have collision insurance, you will be covered. Your coverage also typically covers for towing and storage. If you do NOT have collision insurance and are found to be at fault, you will not be covered. If you are involved in an accident and are not at fault and do not have collision coverage, you are still covered by your insurance policy. Your deductible may also be waived. If you are the victim of a hit and run by an unidentified third party, you will be covered by collision coverage. Without collision, you would not be covered. How Much Is Collision Insurance? So, how much does collision insurance cost? As mentioned above in the comprehensive insurance section, the cost of collision insurance varies based on your insurance provider and other factors – driving history, current value of your vehicle, and your collision deductible amount. If you have a clean driving record, the cost to add collision coverage to your policy could be minimal. Some confusion exists between collision and comprehensive insurance coverage. This is partly due to the fact that both coverages apply as a result of damage to your car. But each coverage protects you from different causes of the damage. 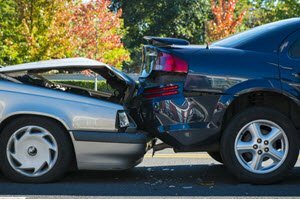 Collision insurance coverage offers protection for your car when you are involved in an accident with another vehicle or a stationary object. In other words, it provides you with protection against threats while you are driving and have some control over. Comprehensive insurance coverage offers protection when your car has been damaged while it is parked, meaning it provides you with coverage for events that are out of your control. In other words, comprehensive insurance covers more and different sources of damage to your vehicle than collision coverage. If you opt for comprehensive insurance coverage, make sure you understand what is covered in the policy. Do You Need Collision And Comprehensive Insurance? Again, this depends on your situation. If you have an older vehicle, then collision coverage may not be in your best interests. If you want to get the lowest rates possible, then having neither form of coverage may be what you want. It all comes down to your risk tolerance and ability to cover costs if you experience damage to your vehicle. 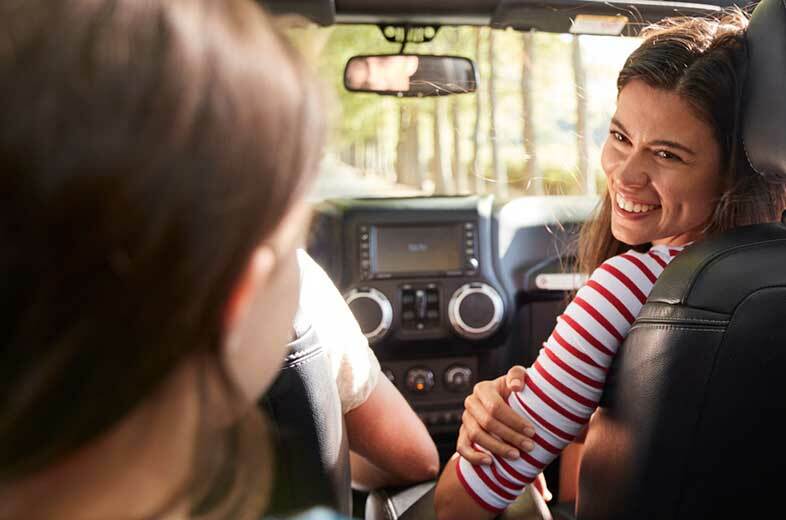 For many drivers, having both forms of coverage provides them with the peace of mind in knowing they are covered and financially protected from the majority of threats to their vehicle whether they are driving or if the car is parked. If you decide you need both forms of coverage, you may want to consider all perils coverage – this coverage combines collision and comprehensive coverage. For others, you may require a specific form of coverage. In this case a specified perils policy may be your best option. Want to learn more about your options for comprehensive and collision insurance coverage? Contact our car insurance brokers today to get a quote and explore savings options. Call us at 1-855-550-5515. <<How Does A Speeding Ticket In Ontario Affect Insurance Rates And Coverage?